There were some very familiar faces at the top of the Reggae Albums Chart, as UB40 featured alongside Ali, Mickey and Astro. The four of them were part of the song ‘A Real Labor of Love’, as the track was No. 1 in the chart of the week that ended on March the 17th. There’s been confusion among the people, as there happen to be two groups of different people that are known as UB40. In the year 2008, UB40 saw two of its members leave the band. 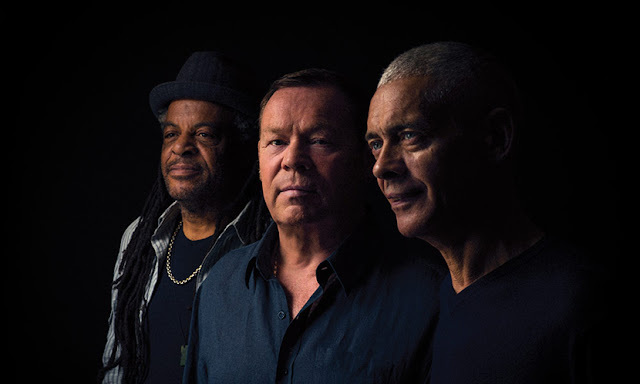 Those two members were Ali Campbell and Mickey Virtue, and the pair were followed by Astro five years later, as he too departed the British band in 2013. The three of them are seen together under the name UB40 featuring Ali Campbell, Astro and Mickey Virtue. Whereas, the original band that the three artists left, still releases tracks under the name of UB40. Despite all that, UB40 has been a prominent figure and have occupied the No. 1 sport on more than one occasions, in the Reggae Albums Chart that were introduced close to 24 years ago. The band were atop the charts between the years 2008 and 2009, for a total of 10 weeks, with their ‘Greatest Hits’ album. Seven years prior to that, they were No. 1 for 13 weeks in 2001 with their album ‘The Very Best of UB40’. ‘Labor of Love III’ saw them at No. 1 as well, when they maintained their position for seven weeks in 1999. In 1997, the band had two albums at the top for short periods, with ‘Guns in the Ghetto’ staying there for three weeks and ‘The Best of – Volume One’ album with a brief stay of just one week. The band’s first ever No. 1 was ‘Promises and Lies’ in 1994. The album managed to hold its position at the pinnacle for 12 weeks, since its launch on 5th Feb, 1994. The band enjoyed a purple patch between the years of 1984 and 1993, during which all three of Ali, Mickey and Astro were part of the group. They also made appearances in the Billboard Hot 100 charts with a few singles. Among them were ‘The Way You Do the Things You Do’ that peaked at No. 6 in 1990, ‘Here I Am (Come and Take Me)’ peaking at No. 7 in 1991, and ‘Red Red Wine’ and ‘Can’t Help Falling In Love’, both of which were No. 1 in 1988 and 1993 respectively.